A great list of great books. Multiple Eisner winner Craig Yoe, he of the IDW imprints Yoe Books and Yoe Comics, is a 13th Dimension favorite. We write quite a bit about his projects, which are pretty dang popular. I mean, Mark Hamill — Luke Skywalker/The Joker himself — has tweeted, “I keep buying books from Yoe Books as gifts, then keeping them for myself!” Craig’s also celebrating 50 years as a comics historian. (Just check out that ginchy logo, above.) Anyway, you oughta check out his wares at his website. 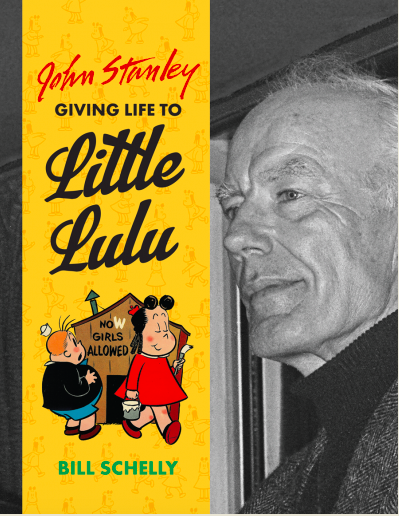 My 13 Favorite Fabulous Fantagraphics Books! 1. 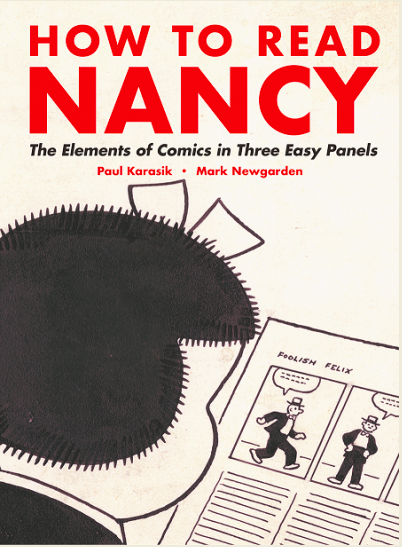 How To Read Nancy. HAWT off the presses! This is conceptually brilliant. It’s insightful and fascinating. It’s by Mark Newgarden and Paul Karasik, both gentlemen and scholars. 2. Schulz. Good grief, need I say more? 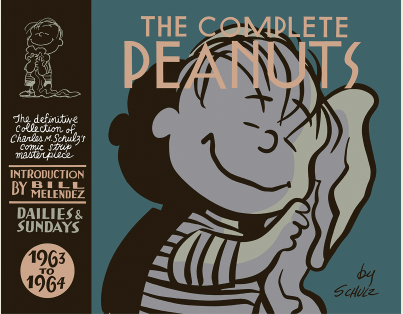 The Complete Peanuts 1963-1964. 3. 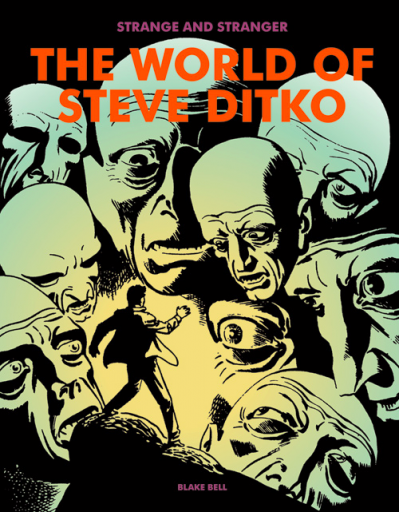 Strange and Stranger: The World of Steve Ditko achieves being as splendiferous as the Master’s art it features. It’s beautifully designed. It boasts consummate research on Sturdy Steve’s life and art by the expert researcher Blake Bell. 4. 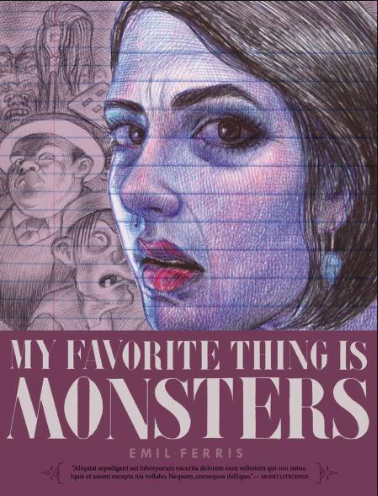 My favorite recent graphic novel is My Favorite Thing Is Monsters by the astonishingly amazing artist and writer Emil Ferris. I trust you already have a copy of this compelling book and have bought many copies for friends, like I have. 5. 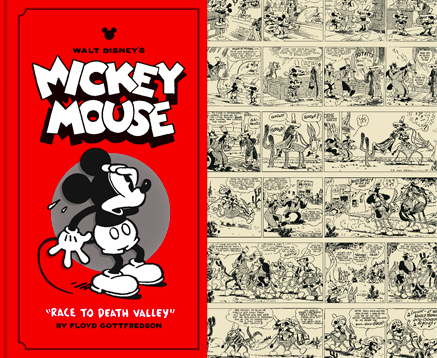 Walt Disney said, “I love Mickey Mouse more than any woman I have ever known!” I’m the same, but please don’t tell my wife that and how much I love this reprint of the Mickey Mouse comic-strip story Race to Death Valley, by Floyd Gottfredson. The book is edited by the incredibly knowledgeable David Gerstein. 6. Fantagraphics’ motto is “Publisher of The World’s Greatest Cartoonists.” No sheet! And in my mind the best of the best of cartoonists is R. Crumb. 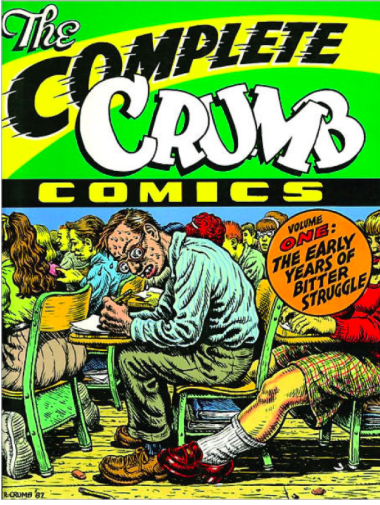 This one is my favorite of his — The Complete Crumb Comics: The Early Years of Bitter Struggle. 7. If Crumb is the best living cartoonist, Krazy Kat by George Herriman is the best comic strip of all time and will live forever! 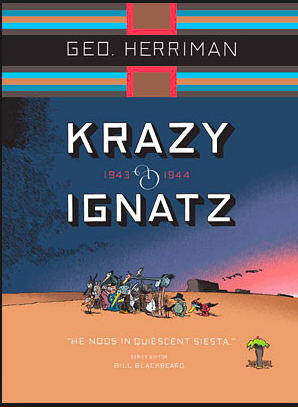 And man, those incredible Chris Ware covers like on this Krazy & Ignatz 1943-1944. 8. 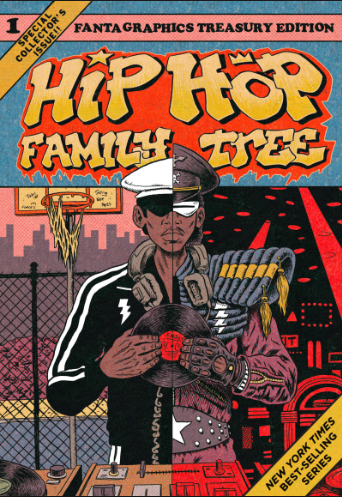 I LOVE Hip Hop Family Tree by Ed Piskor. Homie, go to your local comics store and buy this, yo! 9. Dan Clowes is a god. 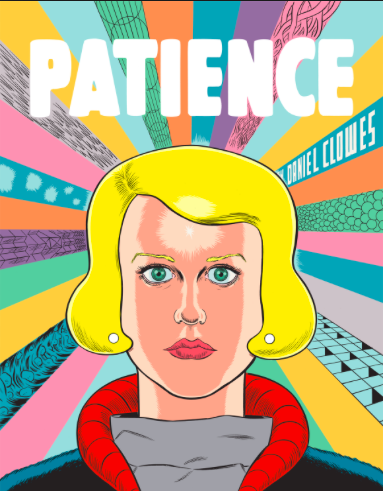 I’m especially moved by this masterpiece, Patience. 10. Would I ever be able to choose which book from Fantagraphics’ EC Library to highlight? Would I ever… would I… would… WOOD! Hooray for WALLY WOOD! When better drawings are drawn, they will be drawn by Wood — he’s real gone! This is Came The Dawn. 12. 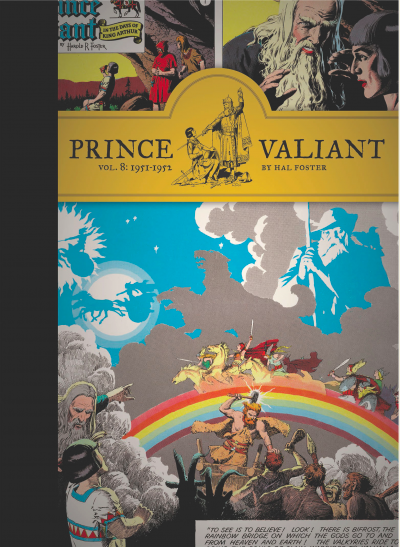 Hal Foster’s Prince Valiant takes my breath away! This has a terrific article by scholar and historian Brian M. Kane and the… Best. Comics. Reproduction. EVER! 13. 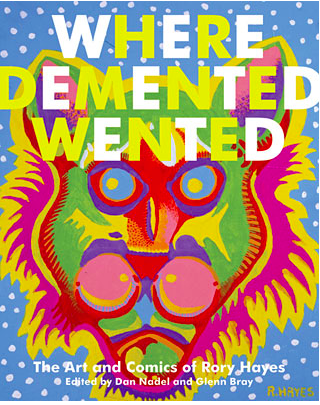 I feel the wonderful dark, mysterious Where Demented Wented: The Art and Comics of Rory Hayes was written just for me! Thank you Dan Nadel and Glenn Bray! In conclusion: Fantagraphics—you can’t beat them with a stick! Craig Yoe is the former creative director/vice president general manager of The Muppets. Jim Henson said, “Craig brings with him his valuable creativity and enthusiasm. 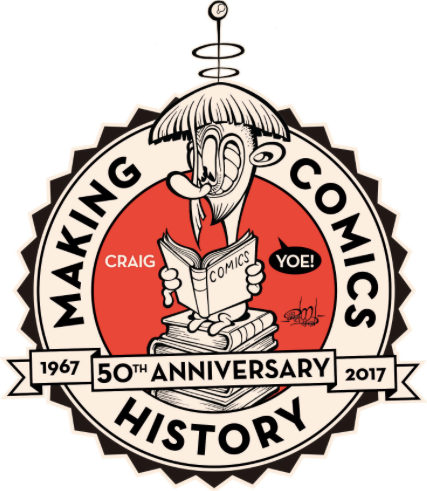 He has a nice mix of business and creative talent!” Yoe produced a comics-history fanzine way back in 1967 so he says he’s, “Celebrating 50 Years of Making Comics History!” Yoe now has the immensely popular imprint Yoe Books with the highly regarded and lauded publisher IDW. 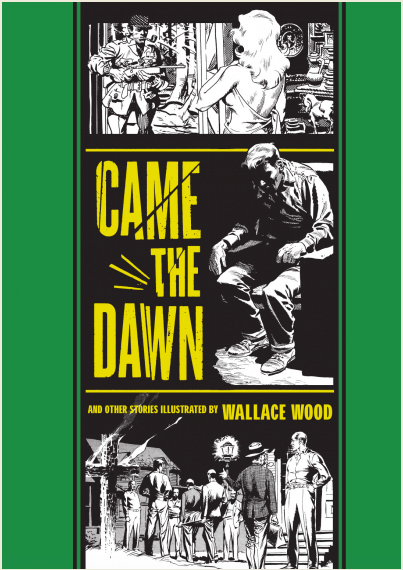 Yoe Books are known for being the industry standard for comics reprints for their well-researched introductions, stunning design and terrific restoration of vintage comics material and their top-notch printing. Plus, Yoe Books are remarkably inexpensive and fun! Yoe is a multiple Eisner Award-winner and has won many other awards, including a Gold Medal from the Society of Illustrators as a book art director/designer. Visit Yoe Books, here. I share your appreciation for the very high quality of these books. Thanks for sharing. The Prince Valiant books are beautiful. Spread that love, spread that love.